We are absolutely delighted to tell you about our upcoming trunk show with the fabulous designer Alma Novia Barcelona who are part of the Rosa Clara Group. We already hold a fantastic selection in stock, but this trunk show will enable you to view the entire new collection. It coincides with us opening our in-store stand alone Alma Novia Boutique. BOA Boutique are the only stockist of Alma Novia in the UK, and we adore working with them. 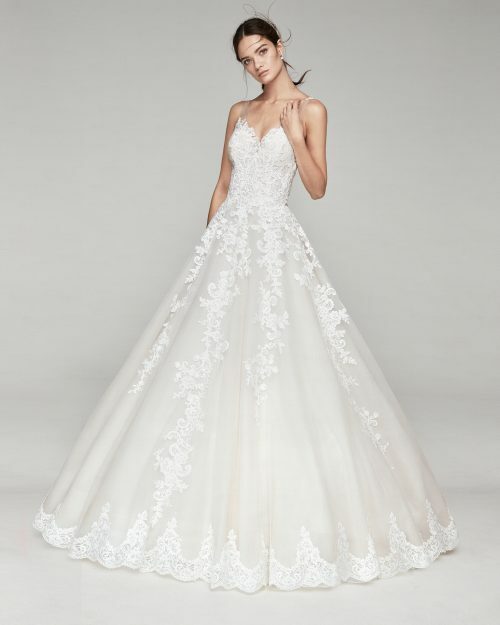 The trunk show is your chance to view the entire 2019 collection and it is a chance to see every one of the gowns up close in our Richmond Hill store. Please telephone us to make an appointment to be part of this special event. We cannot wait to show you the newest designs, they really are very special gowns.